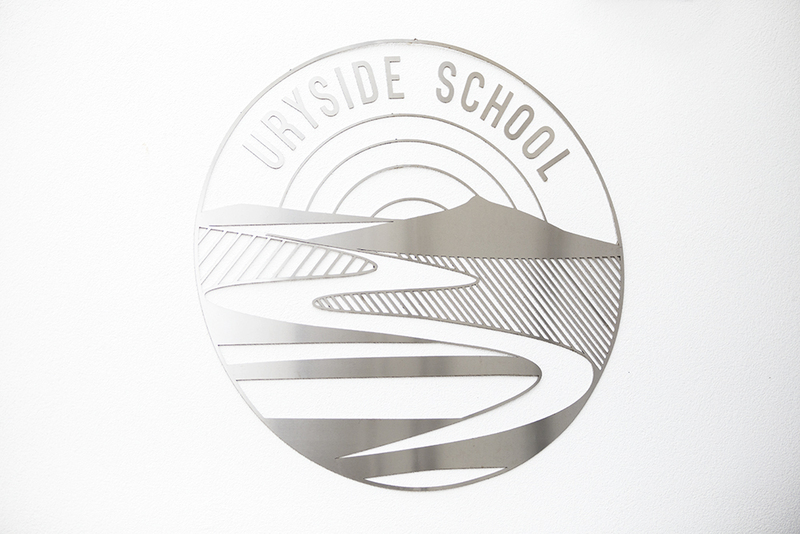 Uryside Primary is a new state-of-the-art school in Aberdeenshire council, with 20 classrooms to accommodate 540 pupils. During October 2017 we were involved in the build-stage of the school, facilitating engagement with local history through design. 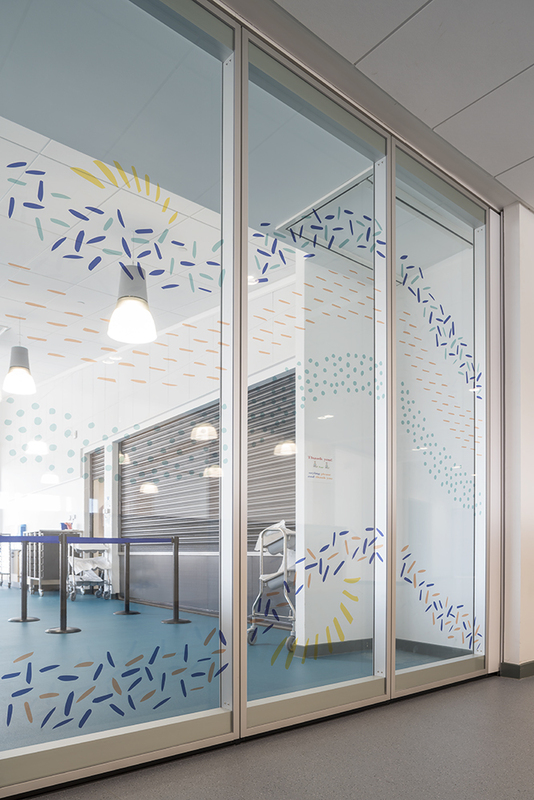 Bright murals, acoustic panels and glass vinyls were designed to reflect the school’s colourful setting. Bennachie and the River Ury were central to our design development leading to the exploration of landscape, industry and history. 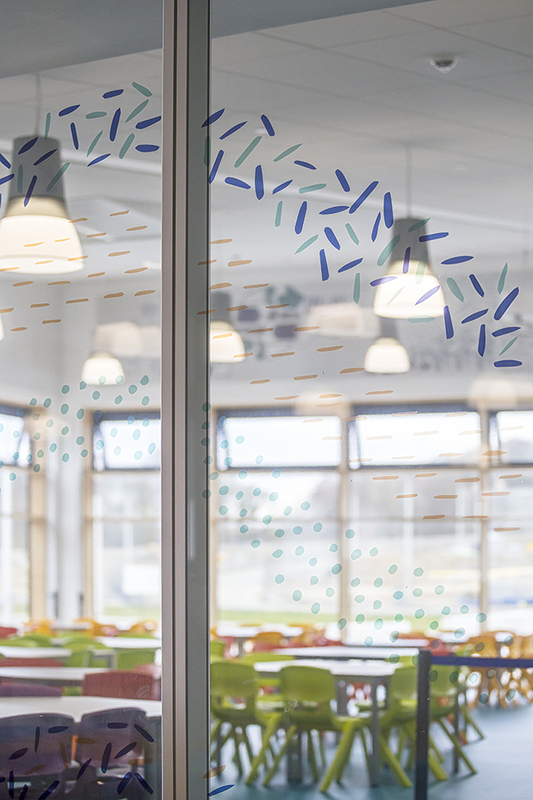 The poem 'The River Ury' by P. Nicol, alongside work produced during engagement sessions with pupils were sources of design inspiration, creating a sense of pride towards their involvement in the design process and in their surroundings. . 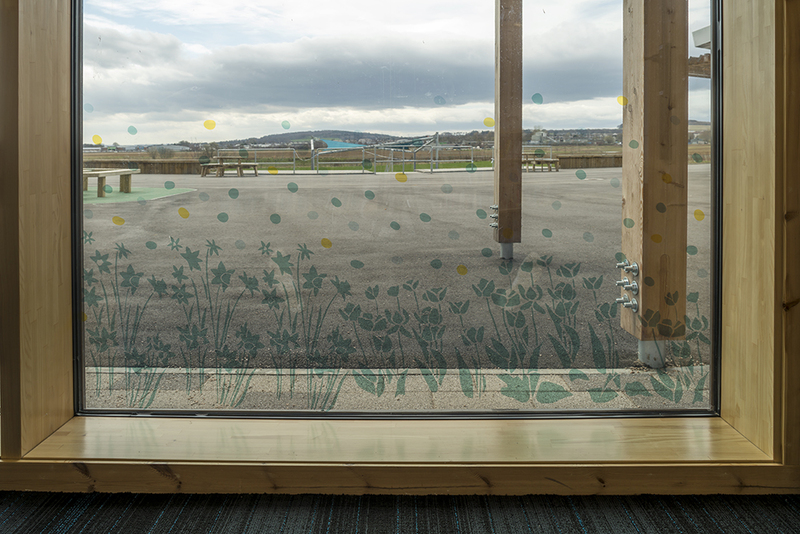 The hand-painted mural is the centre piece of the design scheme and tells the story of Inverurie, the merge of the River Don and Ury alongside Inverurie's landscape, industry and history with a backdrop of Bennachie.